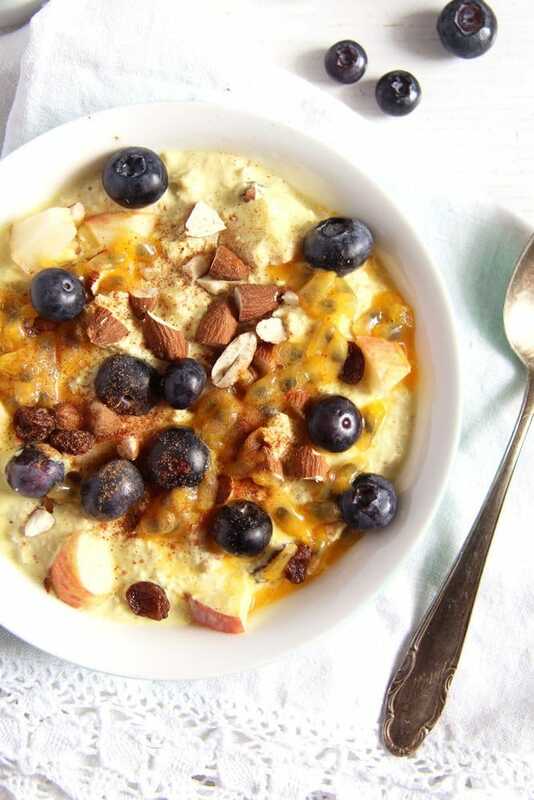 Muesli with yogurt and turmeric paste, topped with dried fruits, almonds, bananas and berries. 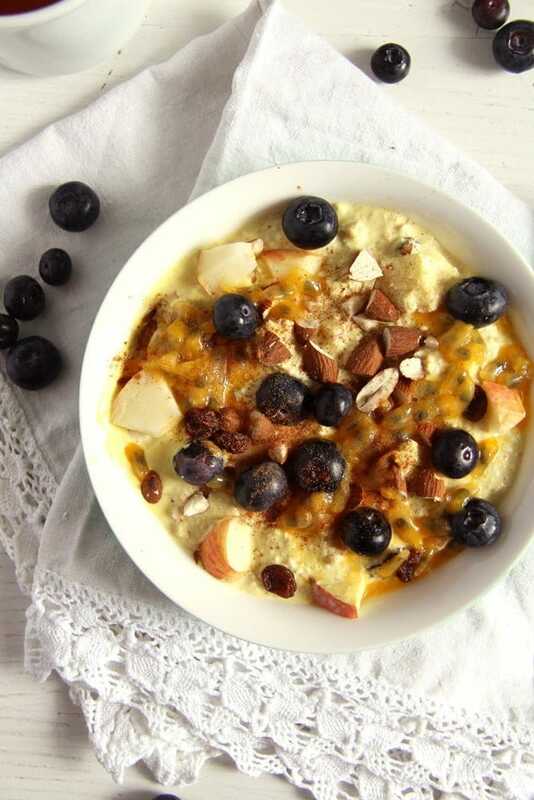 Here is super idea for a healthy start in the day: Turmeric Paste Muesli with yogurt and fresh blueberries. I can hardly imagine a tastier and healthier way to break the fast in the morning. Of course, start by making the Turmeric Paste for Golden Milk. Then the muesli mixture. I have been making my Homemade Muesli Mix for years, I think I started making it around the time my son was born or during the pregnancy and I swear there hasn’t been a day ever since that I didn’t have this muesli mixture in the house. Since regularly including the Turmeric Paste for Golden Milk in our diet, I make a point of stirring one teaspoon of the paste in each bowl of muesli I eat. 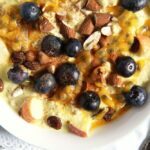 The following recipe is one of my favorite mixtures, but it should be regarded as an inspiration for your muesli. I included the dried fruits in the recipe because I assume you will make the recipe with rolled oats. 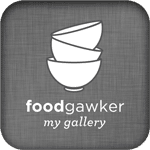 If you do mix the Homemade Muesli Mix or you use another muesli mixture, than you can leave the dried fruits and dried berries out of this equation. Or you can add any dried fruits or berries you like in your muesli. 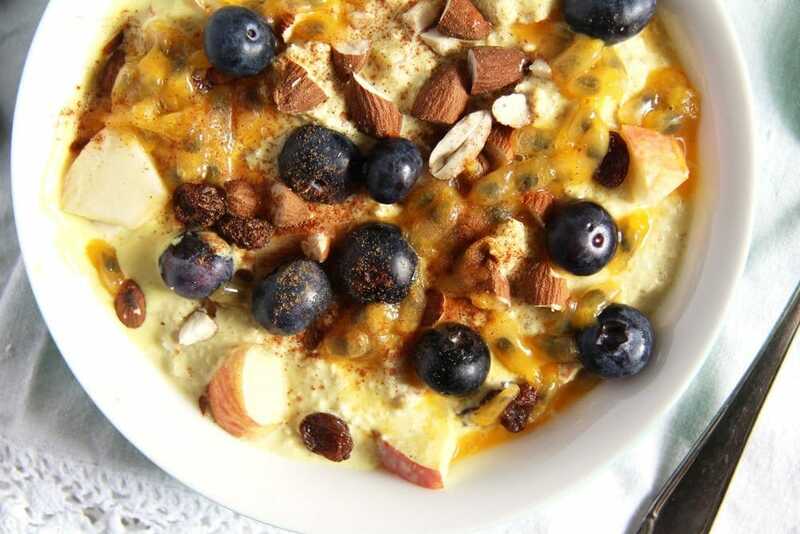 I used low-fat Greek style yogurt, but plain yogurt of whatever fat amount you like is OK. You can use nut milk or regular milk and you can use any other kind of nuts instead of almonds as well. The fresh berries and fruits you can use is according to your taste and whatever happens to be found in your kitchen at the moment. And of course, there are other things you could add, things like seeds (sunflower seeds, chia seeds, flaxseed, sesame etc). Cocoa nibs are also great if you like a bit of chocolate taste in your muesli. So, the sky is the limit, just make sure to add the teaspoon turmeric paste to the bowl and you’re done. Whisk together the yogurt and the turmeric paste. Add the homemade muesli mixture or the rolled oats, the raisins and dried fruit and mix well. Add some almond milk until you obtain the consistency you like. 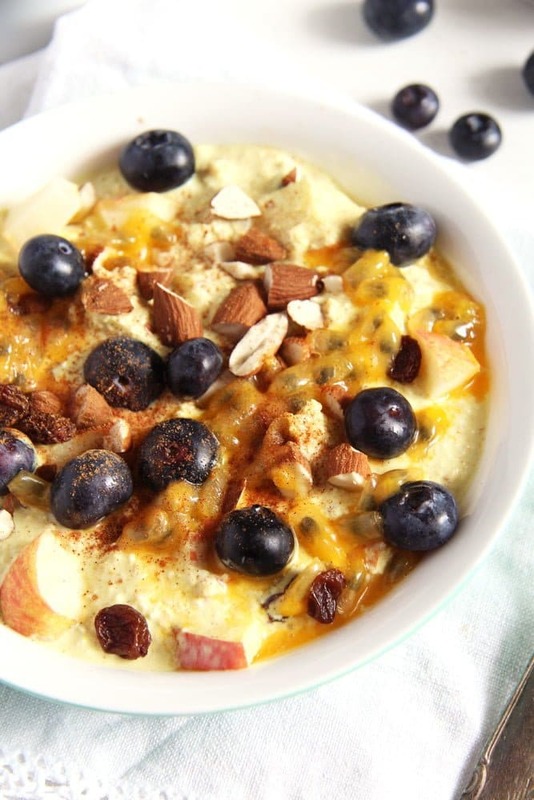 Serve topped with the chopped almonds, sliced apple, maracuya and blueberries. You can sweeten the muesli with honey or maple syrup, but I don't find it necessary. That’s a great meal to kick start the day, Adina. Love all the healthy elements here. This is my type of dessert when it’s too hot outside. I’d love it as an afternoon snack! Love all the ingredients in it. And the photos here are making me crave for it so badly!